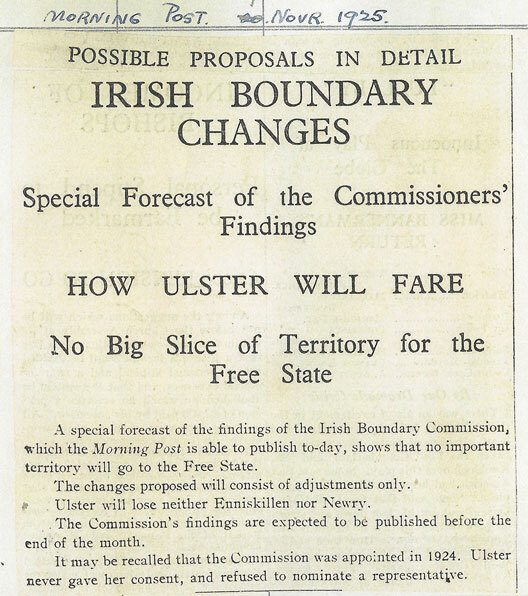 The first draft of the Boundary Commission's report recommended a number of changes to the border: the Irish Free State was to receive parts of south and south-west Armagh and parts of west Tyrone; Northern Ireland would acquire small parts of Donegal and Monaghan. 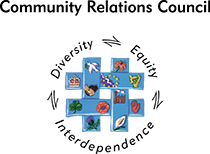 The recommendations would have reduced Northern Ireland's population by a mere 1.8% and its area by 3.7%, much less than was expected by both governments on either side of the border. 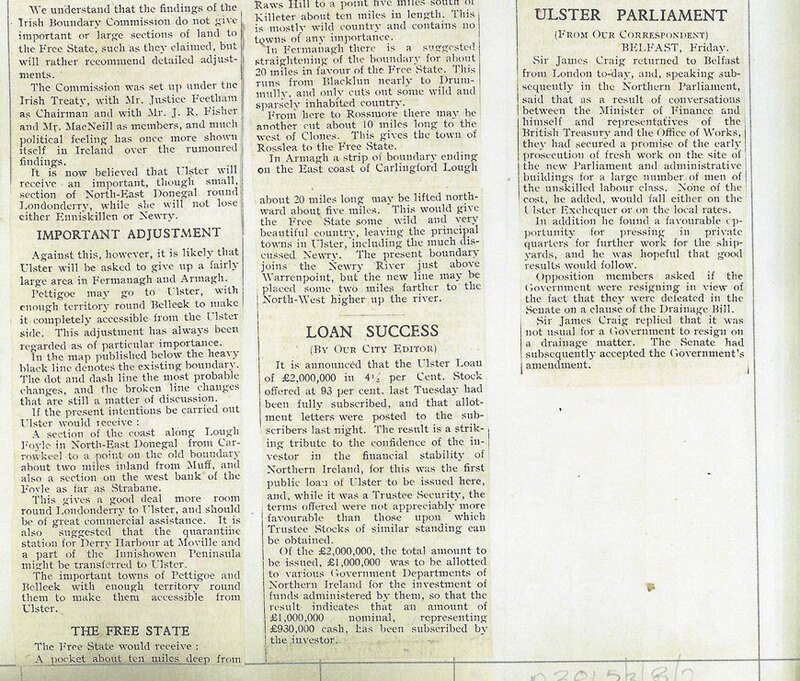 The findings of the report were leaked to the press and were published on the 7th November in The Morning Post. 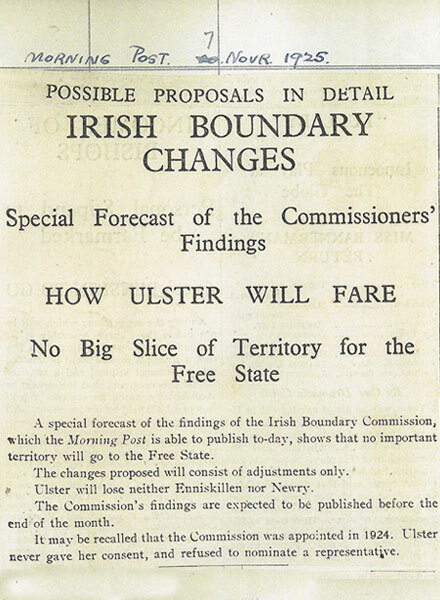 A tense debate on whether to cede any land to Northern Ireland took place in the Dáil on Thursday 19th November. 7th November Morning Post article the leaked draft Boundary Commission Report.